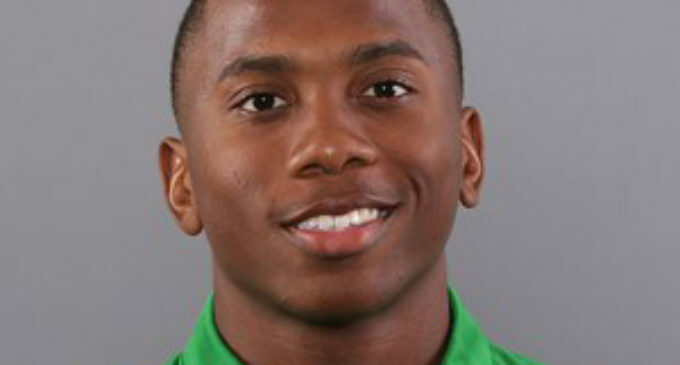 UNT turned over the footage of a raccoon mauling from football player Khairi Muhammad’s Snapchat story to authorities in another jurisdiction Tuesday following the identification of the out-of-state location the video was taken by UNT police, a UNT spokesperson said. The video, which Muhammad put on his Snapchat on Sunday, featured a raccoon in a cage being released by a group of people, who then filmed and could be heard laughing at the mauling and killing of the raccoon by three dogs. At the end of the video, an individual who was not Muhammad can be seen hitting the raccoon with a stick. The video was screen recorded and then posted on multiple Twitter accounts. Those posts have since been deleted. People online commented on the posts, calling for action to be taken by the university or authorities. UNT News Director Leigh Anne Gullett said the footage could not be turned over to authorities until the proper jurisdiction was located. Gullett could not share that location. Muhammad posted a statement addressing the video to his Twitter on Sunday evening, a few hours after the videos were posted to Twitter. The Daily reached out to Muhammad through Twitter, but he did not return comment and has since made his account private. The university also released a second statement on Tuesday, following one from Monday. “While individual student records are protected by federal privacy laws, all potential violations of our rigorous Student Code of Conduct are carefully investigated by the Dean of Students Office,” Gullett said. The Dean of Students Office was contacted but was not able to comment “based on federal privacy laws,” namely the Family Educational Rights and Privacy Act, or FERPA, which prevents the university from discussing details involving students. The UNTsocial Twitter page, the official Twitter page of the university, replied to users questioning UNT’s reaction to the video. “We know people don’t always make the right decisions, but it is our hope that we can guide our students to a path that exhibits our shared values of compassion, equality and understanding in an effort to not only educate, but help mold good citizens,” the account tweeted on Tuesday. In a response to UNTsocial, Twitter user @marissisabellaa tweeted that incidences like this are part of why she transferred from UNT. Featured Image: Khairi Muhammad. Courtesy Mean Green Sports. Yo I would love to see the video of that raccoon. How can I do so? Who must I talk to? A tragedy that UNT and their scholarship program does not revoke this man’s scholarship. An individual that chooses to trap a wild animal, plan an attack, and video the attack for social media is not someone deserving of a scholarship. Oh wait…he had 67 tackles last season. He has established himself as undeserving to be a part of the student body and certainly not a scholarship student. I along with many others will be at every home game as a reminder of his actions.